Though sometimes amusing, it is always disturbing when intelligent people seriously talk nonsense. This is true even of the dead; we are always surprised at the credulity of our forebears. Sometimes it shocks us; they often held views that seem wicked as well as false, and they sometimes acted on them. It ought to be merely a truism that bad ideas can be as effective and influential as good, but obviously it is not, since we are so surprised by this. The hardest things to understand about much of the past are its errors and delusions. We are shut off from understanding them not only by the difficulties of research and by insensibility, for these are only general and preliminary obstacles to any discovery of the past, but also by the particular, anachronistic incredulity which we bring to anything which does not rest on our own intellectual assumptions. 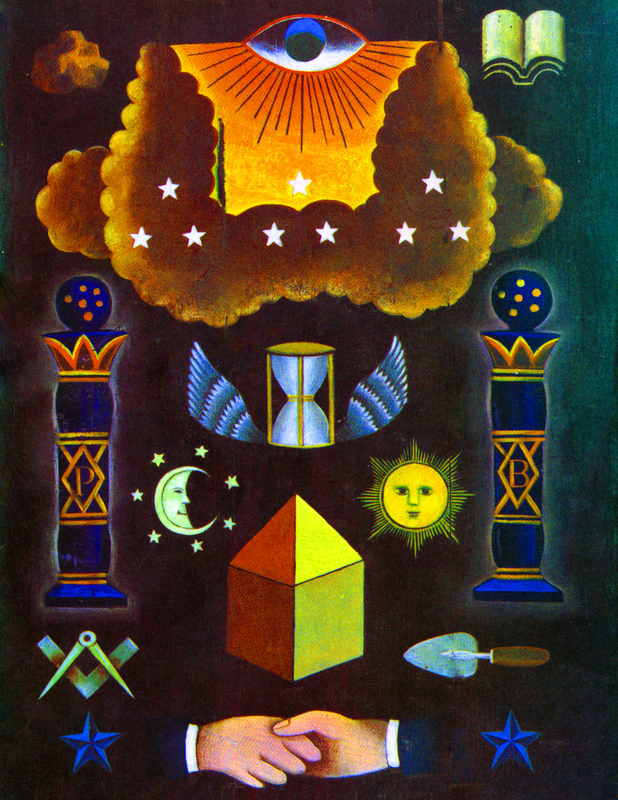 Buonarroti’s last years blended the myth and the reality of the secret societies as never before. Each, too, was then at the peak of its strength. This book has been about the first; it has argued that though secret societies existed in large numbers in Western Europe between 1750 and 1830 and strove to influence events, their main importance was what people believed about them. This always mattered more than what they did and their numbers and practical effectiveness were in no way proportionate to the myth’s power. This is their true instrumental importance as well as their interest for the historian; what was believed about them was an important part of the information shaping men’s reactions to great events. If this is granted, then can we hope – ought we to try? – to understand any more about this fact than its historical context? The mythology is, after all, a historical artefact. It is one characteristic achievement and expression of a particular age, a collective dream of one particular culture. We feel able to understand quite a lot of the social context in which, over eighty years or so, it was born and grew to its full stature; we ought therefore to have a fair chance of discerning what there was in it that locks the mythology into that particular culture at that particular time. Most of what has gone before in this book perhaps expresses that view implicitly. Yet this does not seem to exhaust the matter. Although the mythology has its peculiar features it is also based on elements which recur in other historical situations and it has itself shown astonishing powers of survival and adaptation. Long after the years which saw its birth, these powers have renewed its life at many times and in many places. First published in 1969, ‘Killing No Murder’ is a provocative and stimulating study dedicated to the memory of the tens of millions of war dead who, since the author’s birth, have sacrificed their lives for the score of leaders who might, at the cost of their own, have saved them. When should we or must we kill a politician? Churchill is said to have refused to sanction the assassination of Hitler—was he right to consider aerial bombing a more acceptable way of dealing with Nazism? If a racist, populist, wilfully ignorant, narcissistic, cynically scapegoating, truth-twisting and irredeemably self-serving and apparently irremovable political leader emerges, paving the way to civil strife, the breakdown of the social fabric, xenophobia, the dictatorship and possibly war — when, if ever, can we appeal to justice and common sense? How useful or ethical is assassination or tyrannicide as an expression of domestic or foreign policy? 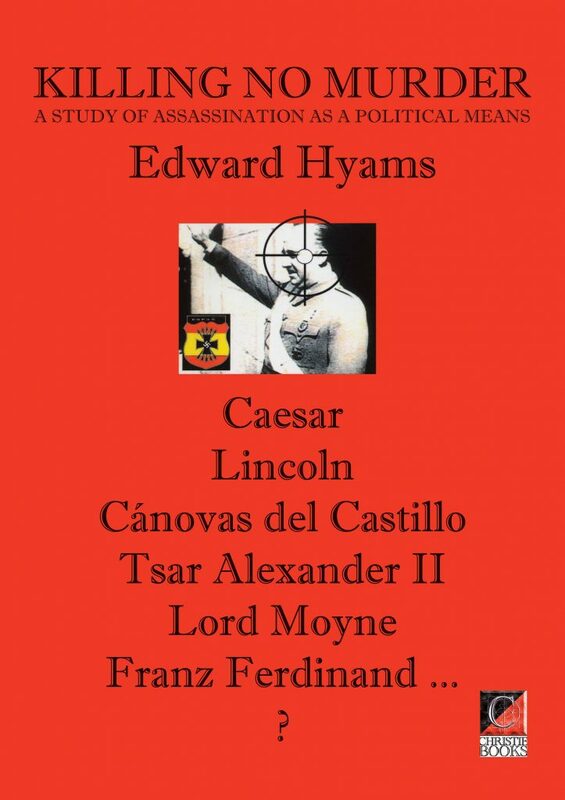 Edward Hyams here considers two classes: socially or politically motivated assassinations, and assassinations designed to advance or protect the interests of oppressed peoples. By what right do assassins judge, condemn and execute their victims? Is it the same right that legitimises the murder by politicians, air force and drone pilots of innocent civilians along with a randomly and arbitrarily selected adversary? Can a society that condones war morally condemn assassination? The conflicts in Afghanistan, Syria and Iraq have shown, time and time again, how it is the ordinary man, woman and child, caught in the crossfire of the paranoid fantasies of political leaders, who suffer as a consequence. Would it not be logical and in the widest human interests if assassination could be accepted as a legitimate and highly preferable alternative to war itself ? These questions are central to the conclusions drawn in Edward Hyams’s book. Anarchist novelist, viticulturalist, garden writer, political scientist and historian, Edward Hyams* (1910-1975) argues that despite government and mainstream media homilies to the contrary, sustained political terrorism is often effective and no more nor less morally reprehensible than any other form of warfare. 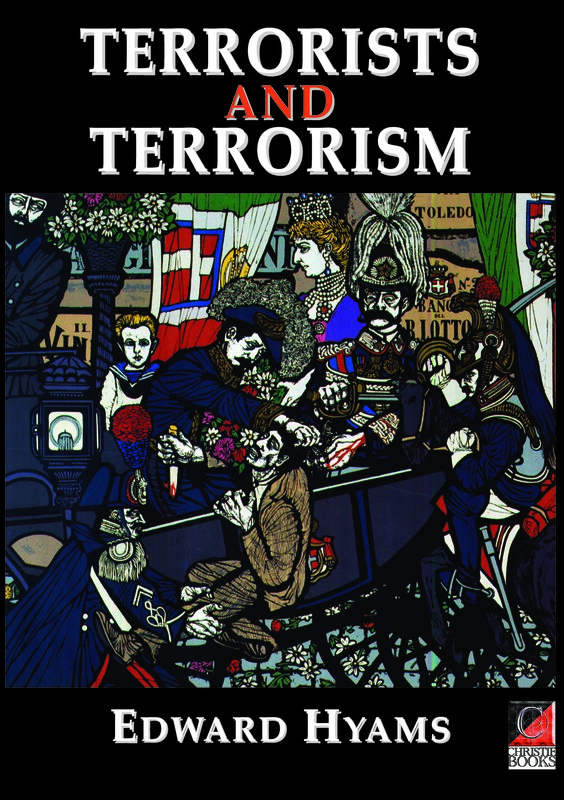 Where is the rationale for the absolute denial of military force to all but those “who happen to be the holders of political power?” Beginning with the the 19th century “theorists” of terrorism— Bakunin, Johann Most, Max Stirner and especially Nechayev, who created for himself the persona that was to become a literary archetype of the revolutionary fanatic (he was the model for Verkhovensky in Dostoevsky’s The Possessed) — Hyams moves on to discuss, more generally, some of the “practitioners” such as the Carbonari, the Serbian “Black Hand,” the Narodnaya Volya and even the Mafia before concentrating his argument on the two most successful terrorist campaigns of modern times — those which established the independent states of Israel and Ireland. In 1918 it was not Lloyd-George’s sympathy with Irish and Welsh nationalist aspirations but the brilliant guerrilla tactics of Michael Collins which forced the British to rethink “the Irish question”. Similarly though the moderates took over the reins of power quickly enough, “it was the terrorists who gave Israel to the Jews.” Hyams concludes that terrorism will be with us so long as there are laws because: it is in law that social injustice is embodied and by law that it is sanctioned. 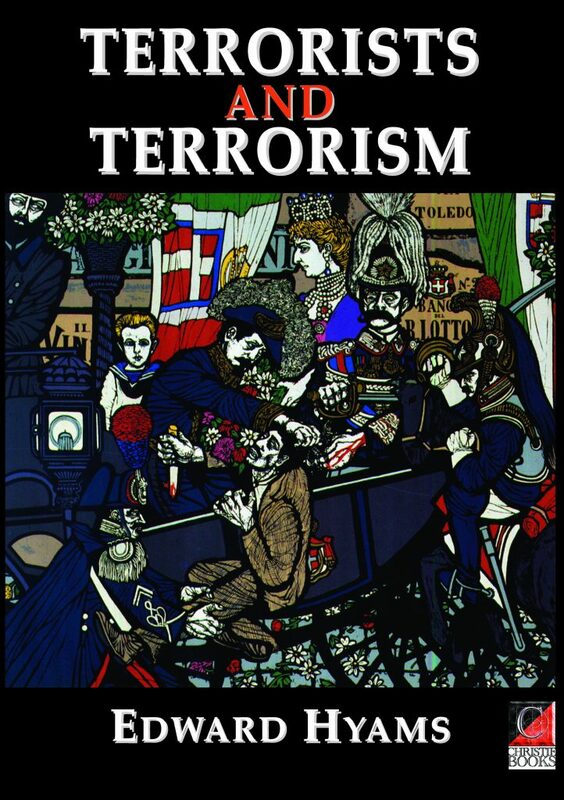 Terrorism thus becomes nothing less than a “cathartic fever” endemic in civilization, which can only be eliminated by “pre-emptive, sustained counter-terrorism” of the leviathan state — which may be infinitely more brutal and oppressive than any band of brigands. A lucid, tough-minded, well-argued and disturbing book. * Hyams other works include: Killing No Murder. 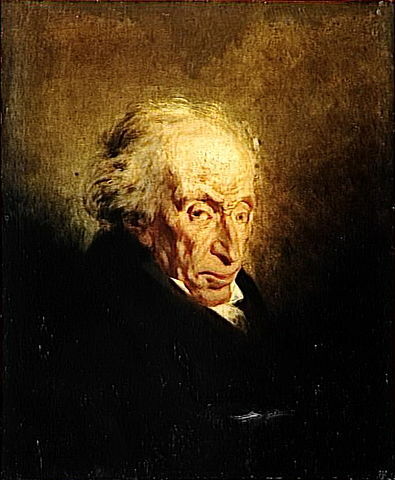 A study of assasination as a political means; Pierre-Joseph Proudhon: His Revolutionary Life, Mind and Works; The Grapevine in England; A History of Gardens and Gardening; and English Cottage Gardens (in which he describes how between 1760 and 1867 the English ruling class stole seven milion acres of common land, the property and livelihood of the common people of England, which he called a “gigantic crime, by far the grandest larceny in England’s history”.